The Equiline Cecile high waist breeches feature an X-Grip silicone full seat giving you optimum stability in the saddle, with crystal details on the pocket and back. Produced with E-Plus fabric to give the perfect fit on the leg, and the 4 way stretch reduces the need to adjust these breeches once on. Available in White, Black, Beige & Navy. 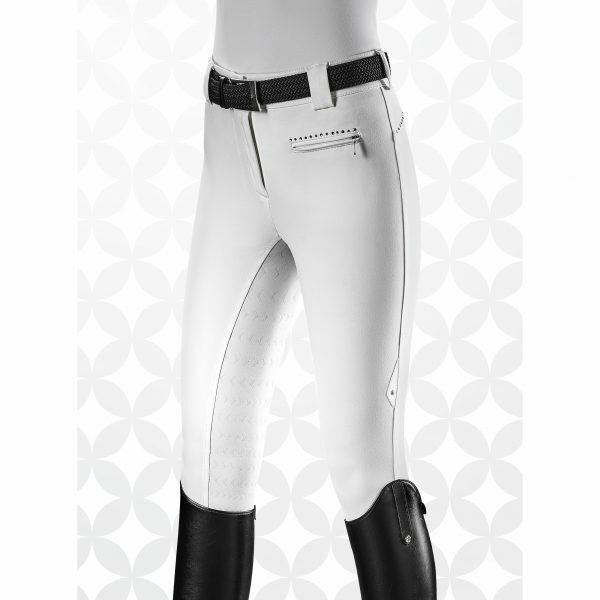 Back order breeches are generally available within 14 days.